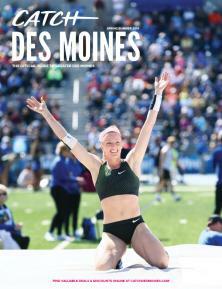 The Greater Des Moines Convention and Visitors Bureau, the parent organization of the Des Moines Area Sports Commission, has launched a call for entries to secure a young professional (YP) to aid in engaging other young professionals and area organizations in attending the USA Outdoor Track & Field Championships June 19-23, 2013 at Drake Stadium. The long-term goal of the Race for a Track Central USA Champion is to position the city to host the 2020 U.S. Olympic Trials at Drake Stadium. The immediate goal of the Track Central USA Champion is to fill the stands during the championships with at least 10,000 attendees daily – with a strong emphasis on filling the East side of Drake Stadium during nationally televised portions of the championships. How we present the city during these days will have a direct impact on our potential of hosting future U.S. Olympic Trials. YPs are encouraged to build their legacy with this unique leadership role by sharing their plan to make Track Central USA (Greater Des Moines) stand out on national television. “The community should take this opportunity to make a mark on our city and be a part of a community-wide effort to fill Drake Stadium this June and host the U.S. Olympic Trials in the future,” Edwards adds. Want to help lure the U.S. Olympic Trials to Greater Des Moines? Tell us why YOU should be the Track Central USA Champion. Send us your plan. Tell us what you would do to make Track Central USA memorable on national TV and support the local community. Submit your ideas to Kristine Reeves at the Greater Des Moines Convention and Visitors Bureau at kristine@catchdesmoines.com. Deadline for entries is May 17, 2013. For more information on the Race for a Track Central USA Champion, visit catchdesmoines.com/trackcentralusachampion. To purchase tickets to the USA Outdoor Track & Field Championships, visit trackcentralusa.com.